Heather Bryant is the Chief Scientific Officer at the Canadian Partnership Against Cancer. 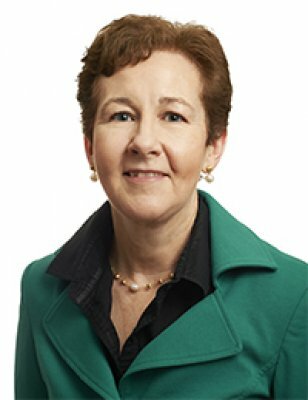 She joined the Partnership in January 2008, and as Vice President, Cancer Control, she leads a portfolio of pan-Canadian cancer control programs throughout the cancer continuum, and has led in the development of cancer system performance reporting in Canada. Prior to this, she was Vice President, Population Health and Information at the Alberta Cancer Board for many years. Dr. Bryant has chaired many national cancer and research committees and currently chairs the Pan-Canadian Lung Cancer Network. 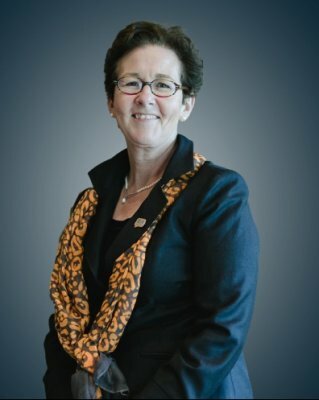 She was the inaugural chair of the Institute of Cancer Research’s Advisory Board (Canadian Institutes for Health Research), the Canadian Breast Cancer Network, and the National Colorectal Cancer Screening Network. She currently serves as a Board Member for BioCanRx, a Canadian Network Centre of Excellence. Dr. Bryant was elected to the Union for International Cancer Control (UICC) Board of Directors in 2012 and has been re-elected for two subsequent terms. She co-chaired the scientific program committee for the UICC’s World Cancer Congress held in Montreal, Canada in 2012 and in Melbourne, Australia in 2014. 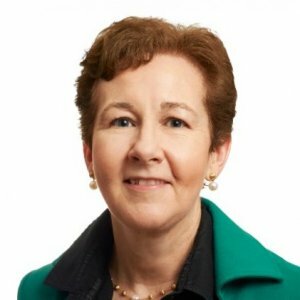 She is also the chair of the International Cancer Benchmarking Program, an international comparison of cancer survival and its antecedents carried out by Cancer Research UK. Dr. Bryant studied medicine at the University of Calgary followed by a fellowship in community medicine and a PhD in epidemiology. She is a clinical professor in the Department of Community Health Sciences and Department of Oncology at the University of Calgary. In 2015, she was named one of the 100 Most Powerful Women in Canada by the Women’s Executive Network. Heather Bryant, vice-president of cancer control at the Canadian Partnership Against Cancer, said the focus shouldn’t necessarily be on increasing the number of women who get mammograms, but ensuring that screening programs are targeting the right populations. “It’s making sure that we’re targeting those that could benefit, that haven’t been reached, and at the same time not exposing women to unnecessary side effects of screening if they wouldn’t benefit from it,” she said. Heather Bryant, vice-president of cancer control at the Canadian Partnership Against Cancer, said the guidelines represent the first time new advice can be offered for lung cancer screening on the weight of scientific evidence. "It's especially helpful in lung cancer," said Bryant, noting that the disease kills more Canadians than breast, colorectal and prostate cancers combined. Surgery can carry with it lifelong challenges with incontinence and sexual dysfunction. Where men live can also have an impact on how they are treated when diagnosed with prostate cancer. “While the cancer community has suspected wide variations in treatment, this is the first time we’ve been able to investigate it using pan-Canadian data,” said physician Heather Bryant, vice-president of cancer control at the Canadian Partnership Against Cancer. Close to 24,000 men will be diagnosed this year with prostate cancer, according to Prostate Cancer Canada. That’s why colorectal screenings are so important. If the polyps can be found and removed before they become cancerous, it can save a person’s life. Colorectal Cancer Canada estimates that early detection can prevent as much as 90 per cent of colorectal cancer cases. Yet across Canada, the screening rates are hardly stellar. Individuals between age 50 and 74 are recommended for colorectal cancer screening. Rates vary from a high of 59.2 per cent of that age group in Manitoba to 38.5 per cent in Nova Scotia to a low of 28.3 per cent in Quebec, according to a report released last month by the Canadian Partnership Against Cancer. Although screening rates for colorectal cancer remain low, Bryant points out that in many provinces, screening programs remain relatively new. In some areas, such as Quebec and New Brunswick, programs are still in the planning and roll-out phases. No province is meeting a national benchmark for how quickly the majority of patients receive a diagnosis after an abnormality is spotted during a breast screening, with Quebec missing the target by the widest margin. Experts said the lag is unlikely to affect how breast-cancer patients are treated or how long they survive, but it leaves some women to endure weeks of uncertainty. “Is it something that is going to make a difference to a woman’s survival? Probably not. Is it going to make a difference to a woman’s peace of mind … indeed it is,” said Heather Bryant, the vice-president of cancer control for the Canadian Partnership Against Cancer, the federally funded agency that published its annual evaluation of the country’s cancer-fighting efforts on Wednesday. Dr. Bryant said women whose screening results cause doctors the most concern generally get swifter diagnoses. “Women that have the longer wait times are the ones [where] everybody’s pretty comfortable that this is probably benign. But nevertheless, for the woman herself, you want that put to bed as soon as you can,” she said. Evidence shows that continued smoking by cancer patients leads to adverse treatment outcomes and affects survival. Smoking diminishes treatment effectiveness, exacerbates side effects, and increases the risk of developing additional complications. Patients who continue to smoke also have a higher risk of developing a second primary cancer or experiencing a cancer recurrence, both of which ultimately contribute to poorer quality of life and poorer survival. Here, we present a snapshot of smoking behaviours of current cancer patients compared with the non-cancer patient population in Canada. Cancer survival is a key measure of the effectiveness of health-care systems. Persistent regional and international differences in survival represent many avoidable deaths. Differences in survival have prompted or guided cancer control strategies. This is the first study in a programme to investigate international survival disparities, with the aim of informing health policy to raise standards and reduce inequalities in survival.